A couple of weeks ago I wrote a feature entitled Top Ten Games That Should Be Films. Mass Effect came in at number 4, behind The Legend Of Zelda, Assassin’s Creed and Uncharted. However, I was introduced very late to the Mass Effect world, and must confess I have only just finished Mass Effect 2, an epic sixty hour journey that has forced me to reconsider my standing. 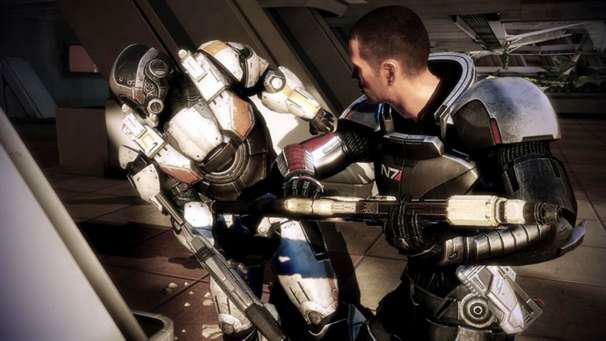 Mass Effect should not be a film. Now, this might not be a popular opinion over at Warner Bros, where the film is in development in association with Legendary Pictures, currently being drafted by screenwriter Mark Protosevich, but from a script developer point of view, I can see no conceivable way that the rich universe of characters can be condensed into a two hour film. As an aside, I have a friend, a successful novelist who has just finished a five book fantasy series. When the first book launched years ago, he asked me if I thought it could be made into a film, and I said no; he had multiple main characters and plot threads running concurrently, and I said a film would essentially have to cut the meat and bones of what made his book what it was. However, last year, after watching the hugely enjoyable and successful Game of Thrones, an adaptation of Goerge R.R. Martins book series A Song of Fire and Ice, I emailed my friend and suggested he look toward TV as a better avenue for seeing his novel come alive on screen. When I finished Mass Effect 2 recently, I had the exact same thought. Many people may be put off by this – TV as a medium does not offer the grand spectacle of a 3D IMAX cinema screen, but it does have two advantages; it affords the creators more time to develop their characters and plot, and it is ultimately cheaper. At the moment there is a vast void in television shows. Space set Sci-Fi. The Stargate series died after a criminally short two season run of Stargate: Universe, while Star Trek, a series that spawned five TV shows, ended its small-screen run with the disappointing Enterprise in 2005. While it has managed to transition back to the big screen, courtesy of J.J. Abrams, there have been other great recent small screen successes. Battlestar Galactica enjoyed both critical and commercial success during its revived five year run, and while Firefly was cancelled by Fox halfway through its season, the cult status deemed it worthy of a feature film, written and directed by show creator Joss Whedon, who has just went on to direct The Avengers and Cabin in the Woods. So why not Mass Effect? With a 13 episode arc, it would offer the creators more time to explore the different characters, feature more missions, all while following the main plot arc of the first game. Game of Thrones has proven it can be done, but what it also does is focus the writing on character development and drama, rather than loud bangs and spectacle. I realise this opinion may be unpopular, but I for one would rather see a TV show which will be afforded more time to explore the world of Mass Effect, as well as the character of Shepard, whatever iteration he takes. Will there be a film? It is almost a certainty. Will it be epic? No doubt. But will they be able to squeeze the essence Mass Effect into two hours without cutting out the essential elements? That remains to be seen.